Using marble slabs is a long-established practice and it is known to be used for construction and architectural designing purposes since ages. Numerous places, monuments, historical edifices completely or partially built with marble in different parts of the world manifest the timeless popularity of marble. Even today, it is one the most popular natural stones around the world and marble slab is profusely used in constructing private and public buildings, and decorative items. In comparison to many other natural stones, it is very durable yet easy to carve and that make it a preferred option for new building as well renovation projects. India is a major producer and global supplier of high quality marble with most marble quarries being situated in Rajasthan state. In order to import marble slabs in desired size and thickness, you need to contact an internationally reputed marble manufacturer and exporter from India like Regatta Universal Exports that has a track record of delivering quality marble products in different countries across the globe. 1. Interior Applications: In the form of slab, marble is used for a variety of purposes inside homes. 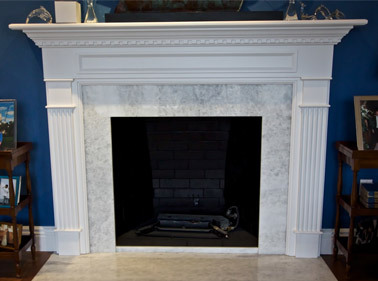 A most popular application of marble is for fireplace construction. It not just boosts the décor of the living space, but also enhances the value of the property to a greater extent. Marble is also used to build columns in large rooms and halls that remind us of opulent medieval architecture. Marble columns are a common sight in large medieval and modern-day edifices, museums, royal residences and government buildings. Besides, marble slabs or tiles look very amazing in polished finish when used to cover floors of large rooms. 2. 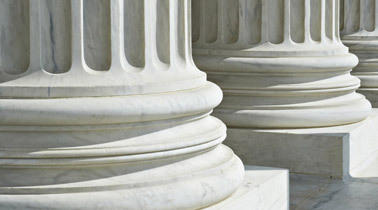 Exterior Applications: In the past, marble columns had been extensively used to support the exteriors of a building and even these days, it is a significant architectural element that has been used in large commercial buildings and residences. Other than this, marble is employed to construct designer walkways, wall dividers and outdoor furniture. Decorating exteriors with marble brings a natural charm to the outdoor space that is simply spectacular. 3. Miscellaneous Applications: Marble is now a popular choice in home construction and renovation. 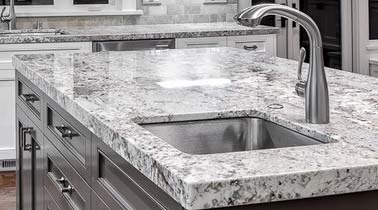 Although marble slabs are not so preferred for kitchen countertops and vanity tops, it is marble tiles that are fairly popular for such applications. Nevertheless, marble slab is quite a popular material for constructing furniture, such as table, benches and stools. Additionally, fireplace surrounds, room dividers and mantle pieces are other common applications of marble. 4. 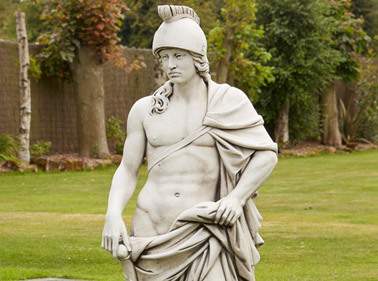 Sculpture: A marble slab is one of the most favorite materials among numerous sculptors and artisans all over the world; probably because of several unique features of marble. Since marble is soft enough to be carved to bring out the smallest of details, marble slabs are massively used to engrave beautiful religious figures as well as intricate design patterns or art works. Comparatively, marble is easy to cut and carve and hence, thick marble slabs and blocks can be used to develop a range of statutes and art pieces as well as articles that are used to decorate the exterior and interior of a property. Occurring in numerous shades with highly dynamic wavy and swirly patterns on its surface, marble always adds a natural grace to the place of its installation. Marble is regarded as a royal stone and if properly cared and maintained, it is durable enough to last for decades.